… I revised Wendelin in 2012 in order to complete the font family, as well as to bring it up to date technically with OpenType Features for ligatures and tabular figures, and in the Pro-Version with Unicode support for all European languages along with Greek, Turkish and Cyrillic. 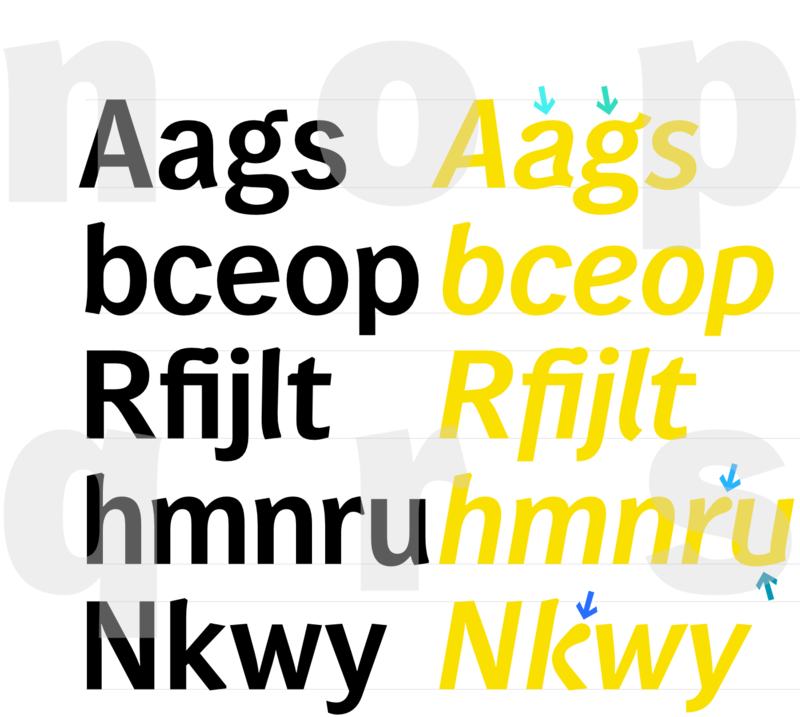 The font family consists of the upright and italic in five different weights: light, normal, semibold, medium and bold. 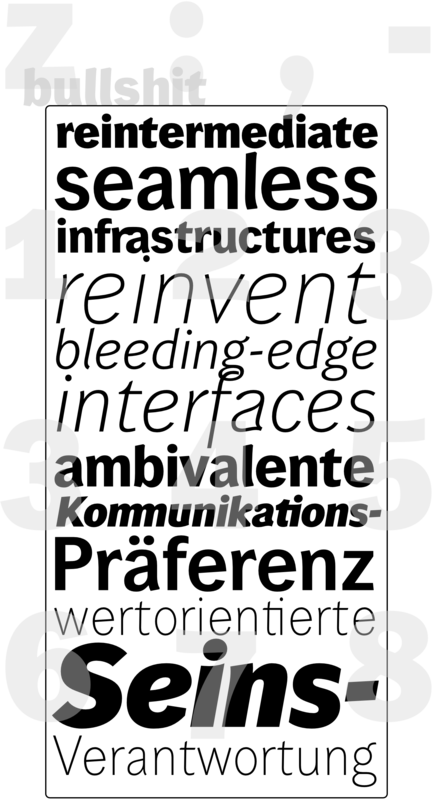 In addition to the “regular” typeface Wendelin Standard, Wendelin Pro also includes small caps which can be selected via the corresponding OpenType Feature. Wendelin is a classic sans serif in the style of the early “grotesque scripts” from the 19th century. But its characters have some very individual details which are not found in any historical model. The slightly bowed stroke endings which nearly look like serifs are characteristic of Wendelin and lend greater legibility to the font. The italic versions of Wendelin are based on true italics with clearly rounder detail forms and not just slanted variations of the upright form, even though a and g retain the basic form of the upright version. Also, the italic f has a descender, the e is round, and k is open and rounder as well as r.
The “Medium” version Wendelin 65 Kräftig is only a bit heavier than the normal version. 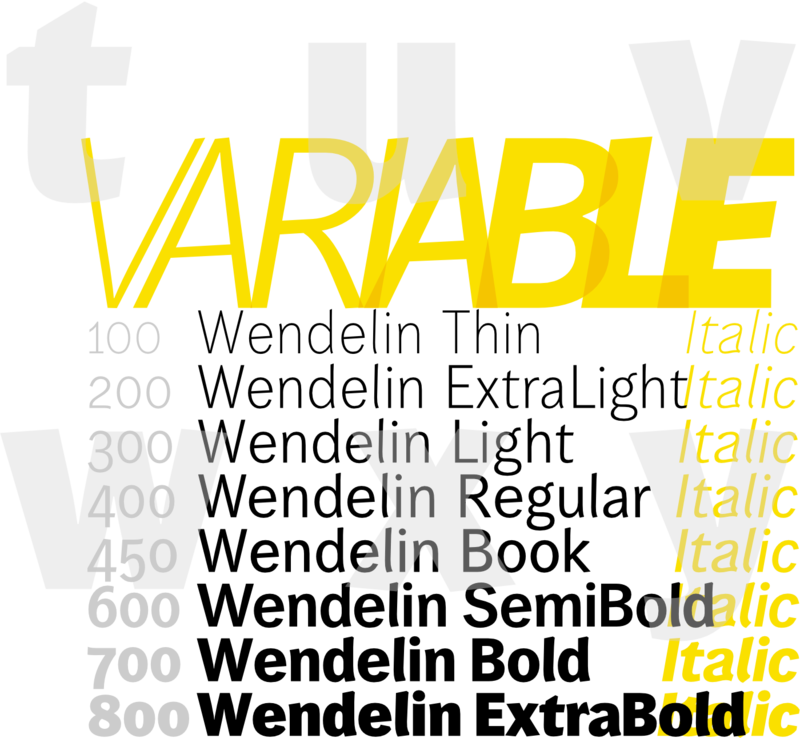 Wendelin Bold was not designed to be a display type for Normal but rather a font for colorful and especially negative text applications. A colorful or negative text compared to the same size text in Wendelin 55 Normal appears identical. Wendelin is available in two versions: Wendelin Standard und Wendelin Pro. Both versions include old style and tabular figures. 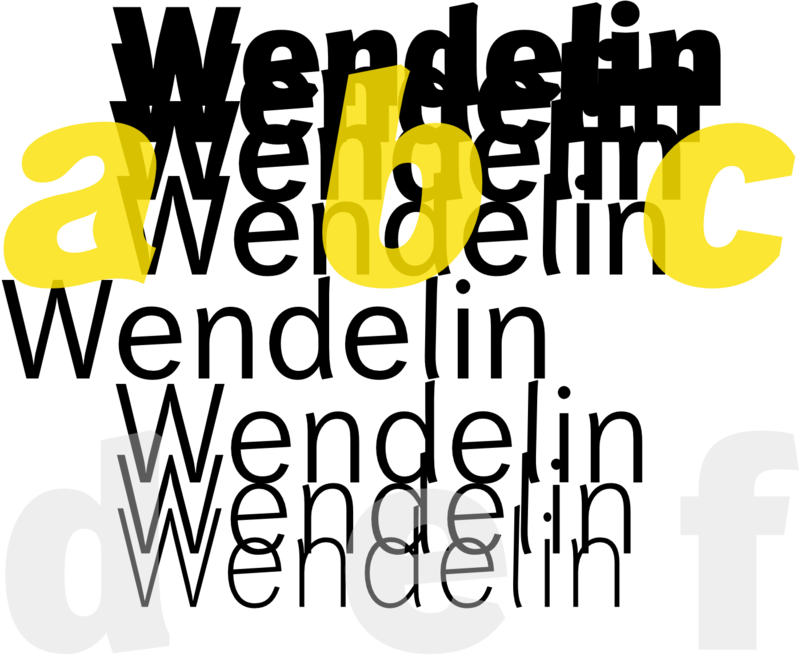 Both versions include standard ligatures and discretionary ligatures. The difference: Wendelin Standard supports only West European languages and includes no small caps. Wendelin Pro supports all West, Middle and East European languages and types including Greek, Turkish and Cyrillic — and the small caps, too.